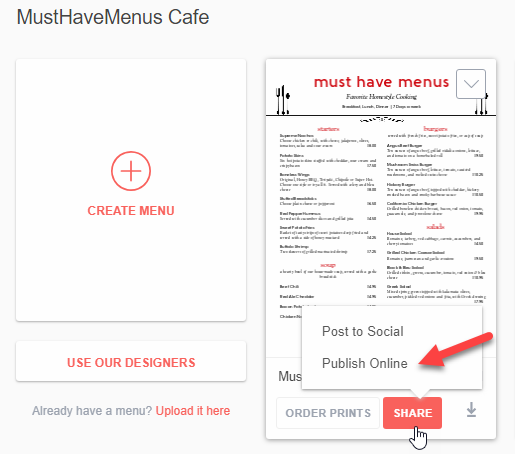 From My Menus, click Share below your menu then Publish Online to show the publishing screen. 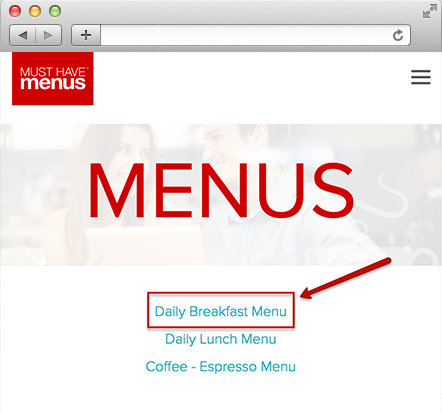 Click the Menu Image button as shown below to create a menu link and embed code. Publishing using a menu link will allow your customers to click a link to view the menu as shown below. Copy the URL to paste it into your website editor or use is as a hyperlink. 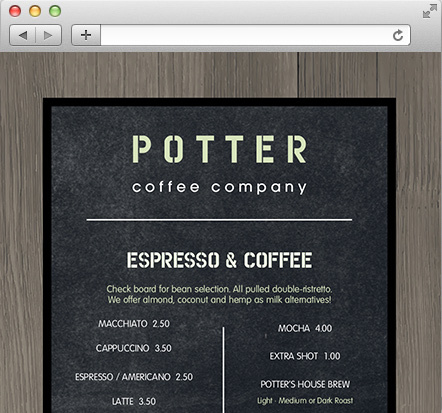 Using the embed code will allow you to place the menu in an already existing page. After pasting the code into your web page, you can adjust the width and height values to fit your page and the size of the menu. After you've updated your menu, click the Publishing tab on the left side of My Menus. Recently updated menus will show options to Sync Changes online (or Sync Later).